The first national park dedicated to an African American. The first national park established to protect a scenic riverway. The site of the first Civil War battle west of the Mississippi River. And the country’s tallest man-made monument. Missouri has always been a leader when it comes to national parks. And the tradition continues as we build a foundation for the century ahead. Corporate support has played an important role in the National Park System since its inception in 1916. This tradition of generous, committed support continues today and is critical to the success and longevity of our national parks. Many of the national parks and programs that exist today would not be possible without corporate funding. Equally important are partnerships with local governments, communities, and organizations. 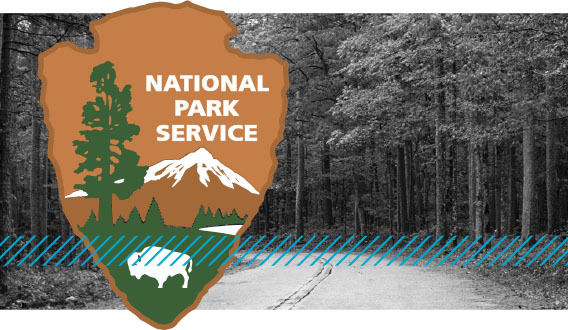 As the National Park Service evolves to meet the current and future needs of our diverse nation, we look to partner with all key stakeholders in building a thriving National Park System. Extraordinary innovation is already underway, with mayors and city leaders, businesses, and non-governmental organizations (NGO) all investing in new parks, new park designs, and new ways to engage communities in creating healthy and livable cities. And Missouri’s own Jefferson National Expansion Memorial is leading the way. 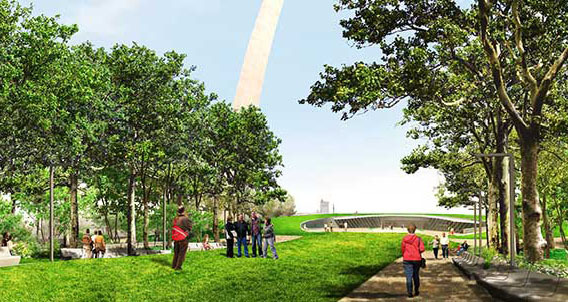 Since the completion of the Gateway Arch in 1965, St. Louis leaders have considered ways to better connect the iconic structure to the city it represents. This led to the 2009 founding of CityArchRiver, a partnership of local, state and federal government entities, civic organizations, private businesses, and citizens to create a new design for the park and surrounding grounds. Funded by a collaboration of public and private sources, the $380 million development will bring new biking and running trails, space for outdoor concerts, and new museum exhibits commemorating westward expansion. This new, seamless park experience will have something for everyone and is estimated to generate 4,400 permanent jobs and bring $367 million annually to the region. With innovative collaborations like this, Missouri and the Jefferson National Expansion Memorial are creating new models for national park development, paving the way for the National Park Service’s next 100 years.